The end of January is already here and that means it’s time for another Team A ScrapMuch? Sketch-y Friday reveal. In keeping with routine, the first sketch of the month is a 2 page layout. 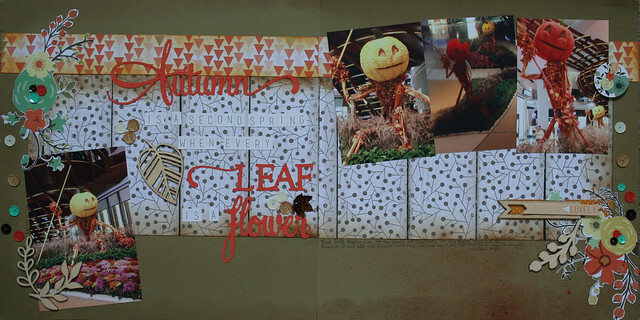 Supplies used: Patterned Paper-Echo Park, Bo Bunny; Cardstock-Stampin’ UP!, DCWV, American Crafts; Vellum-Stampin’ UP! ; Film Ribbon-Tim Holtz; Washi Tape-Tim Holtz; Buttons-American Crafts; Twine-Bazzill Basics; Dictionary Card-Tim Holtz; Stamps-Tim Holtz, American Crafts Dear Lizzy; Ink-Stampin’ UP!, Tim Holtz Distress; Distress Tool-Tim Holtz; Journal Strips-Teresa Collins; Die Cut Machine-Silhouette Cameo; Title Letters-Tim Holtz; Mist-Tim Holtz. On my last trip to Las Vegas I booked an evening tour of the Neon Museum and managed to get some amazing photos! The total bummer was once again I forgot my CF card for my SLR so I was relying on my trusty point and shoot as well as my iPhone to get these pictures. I say again, because I did this the year prior when I went to the Hoover Dam and Grand Canyon and thankfully realized it after the Hoover Dam and managed to put a card in the camera for the rest of the trip. I loved seeing the signs, even though not all of them light up anymore. I love the work they do to restore these amazing Las Vegas icons. I did not love that I was perpetually scolded during the tour because I had to lag behind to get clean photos of the signs because I am short and the tour was busy. I was also scolded for my foot touching a barrier rock when I crouched down to get another sign photo. So – signs great, history great, being treated like a delinquent child was not. The photo on the left is from the Moulin Rouge, arranged to look like it says “in love”. They say many lovers get their pictures taken in front of this sign on the tour. The Stardust sign is simply a Vegas icon, and the movie Casino was loosely based on the history of the Stardust (a different name was used in the movie). 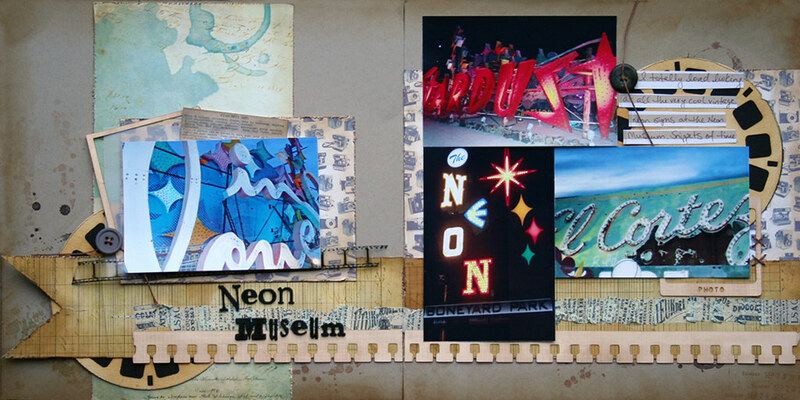 The Neon Boneyard park sign sits just outside the museum and features lettering from the iconic casinos in the area. I wish I could remember all but so far Caesar’s Palace and Binions are the only ones that come to mind. To the right is a sign from the El Cortez, a true survivor in Vegas – the longest continuous running hotel and casino in Las Vegas, since 1941. So, with all that being said I took a real Tim Holtz grungey look and feel to the page. I made sure to distress the edges of the patterned paper, ink all in my go-to of Vintage Photo. 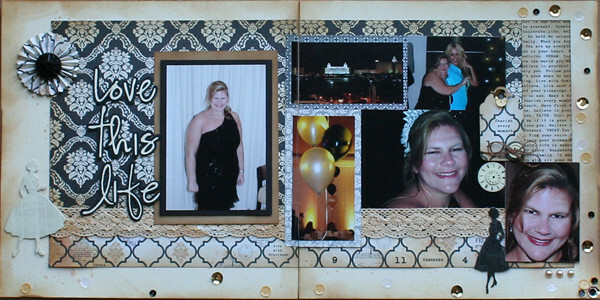 I used the matching mist on the kraft background, as well as stamped with Tim Holtz coffee stain and splatter stamps. 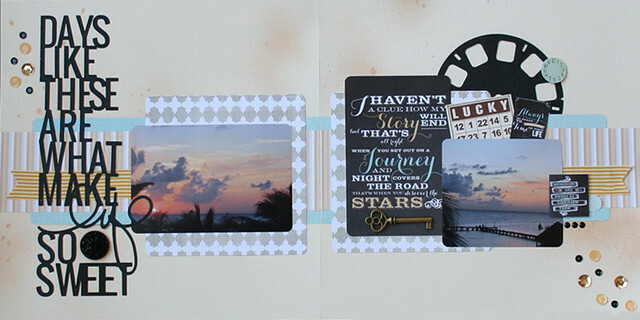 I cut the notepaper border, frames, and viewfinders with my Silhouette. I ruffled up the washi tape then stitched it on. 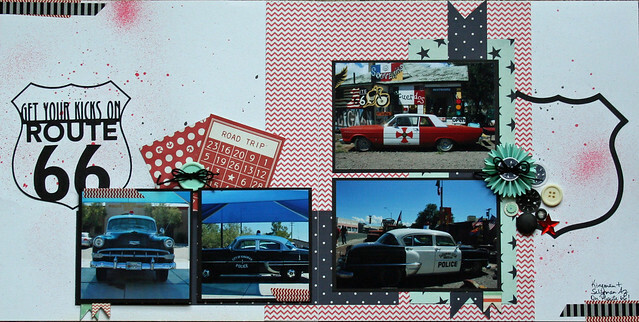 I did my journaling on a Teresa Collins 3×4 pocket page card then cut it apart. So now it’s your turn! Head on over to the ScrapMuch? blog and see what the rest of the team has created. And then of course I’d love for you to play along and share your creations with us! We had so many amazing pages linked up in January! 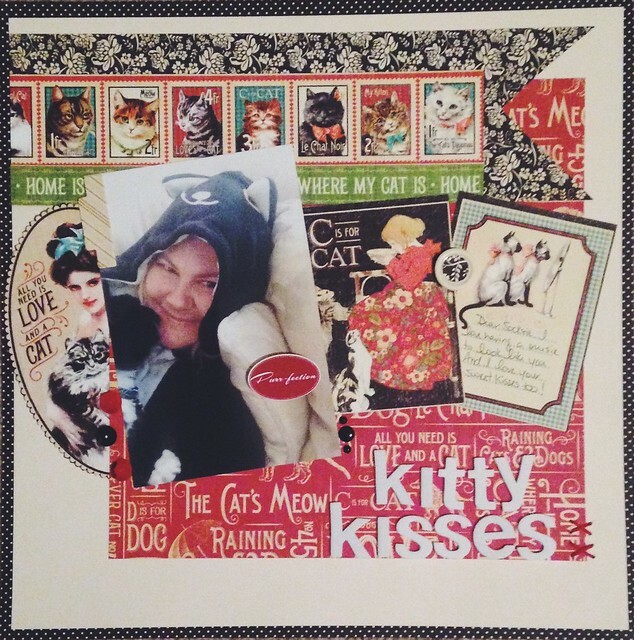 Make sure you link up and share with us what you create and you could win an awesome ScrapMuch? prize! Thanks for stopping by and have a fabulous February. PS – It’s Super Bowl weekend! GO PATS! Hello and Happy Friday! It’s Team A’s turn on the ScrapMuch? 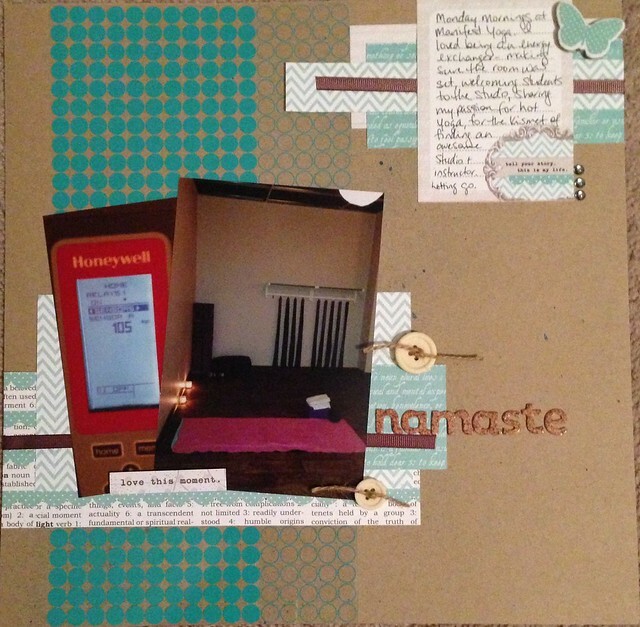 blog again, this time with a one page layout. Since I have a birthday looming I figured it was fitting to do a layout from a birthday I celebrated just a year ago *wink wink*. Supplies used: Cardstock-Bazzill Basics; Patterned Paper-October Afternoon; Feather-Bella Blvd; Sequins-Teresa Collins; Border Punch-EK Success; Crochet Flowers-Stampin’ UP! ; Enamel Dots-Teresa Collins; Wordfetti-Teresa Collins; Thickers-American Crafts; Journaling Spot-Teresa Collins; Roller Stamp-American Crafts Dear Lizzy; Ink-Stampin’ UP! ; Ribbon-Stash (Purchased at the totally amazing Ruffler’s Roost in Arizona!). I think it was last month(?) there was a submission to the ScrapMuch? Sketch-y Friday challenge by a scrapper who used their stash of October Afternoon Cakewalk and I commented I felt like I should stop hoarding my stash and use it. 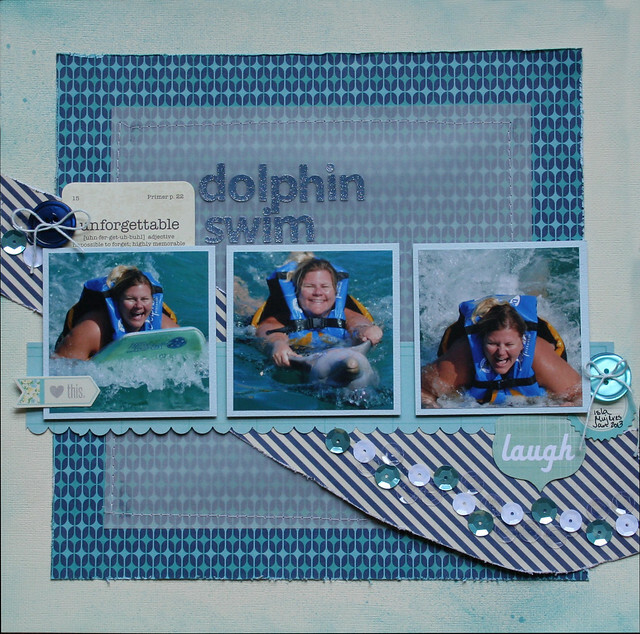 And here we are… I definitely still have some Cakewalk left because it was a little too cutesy to use on this layout (yes, really!). I stuck with a pink palette because it’s my favourite colour. I actually found this sketch a bit challenging because of the “wraparound” look/feel and I’ve never done a layout with this type of sketch, so I stuck pretty true to the image with a few small additions. So what can I say about this layout? I think this was the last time I shared a same room with both my parents together. This was a family dinner party held a little before the day because I was spending the actual day at Le Blanc Spa Resort in Cancun. I found 30 to be a very difficult and challenging birthday, and I journaled about it in the hidden journaling spot. Let’s just say I’m definitely glad I’m never turning 30 ever again! So now it’s your turn, of course! Hop on over to the ScrapMuch? 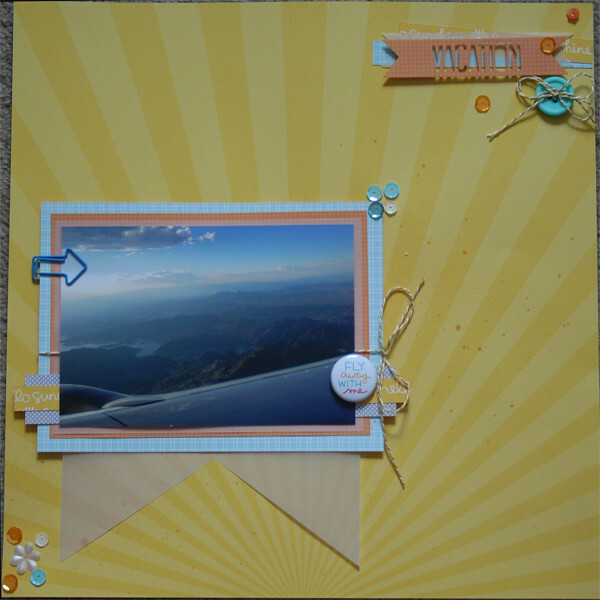 blog for some Team A inspiration, make your own creation and share it with us for a chance to win a ScrapMuch? prize! Here is a run down of our Sketch-y Friday rules. Just link up your creations in our sidebar to be entered into a random draw for our monthly prize. You have until January 29th, at midnight to participate in any of January’s sketch challenges, each linkup tool will remain open until that date! Thanks so much for popping by and have a fabulous weekend! 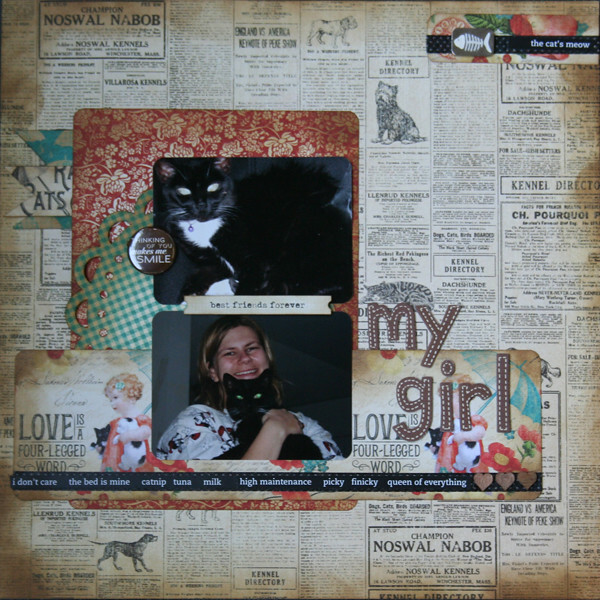 On Wednesday my Feedly was filled with scrappers sharing their top 10 or 14 fav layouts of the year that passed. I never thought I’d be more of a “scrappy blogger” than an “every day life blogger”. However, 43 posted layouts would say otherwise. Yes, 43 posted layouts! I never in a million thought I’d be capable of coming close to a layout a week, but I have as those are just the ones I’ve photo’d and posted. I know there are more I haven’t photo’d and posted. Wow. I feel like this year I really started to find my scrappy “voice”. I’ve embraced my clean and simple style. I’ve embraced my love of sequins, mists and ribbon. I’m actually fine with being linear! One of the most linear scrappers I know has built herself one heck of an empire – I see you Becky Higgins! Long before she was rocking Project Life, she was the sketch Queen. Guess who else is clean, simple, linear and graphically beautiful? Ali Edwards. This I know for sure, most of my favourite layouts are based on sketches. Anyways, I wasn’t going to do this, but figured it would be a good look back. 2014 was actually a big year for me (scrapbooking wise). I’d never had the confidence in my work before to apply to a DT. I’d barely had enough confidence to post my work to the challenge sites. I’ve become more selective about where my submissions go. Also, I’ve taken a lot more care about getting cleaner pictures of my layouts because I’ve already put the work into making them look nice, and the pictures should do them justice. Hello! Happy New Year! I hope everyone had a wonderful and relaxing holiday, and made lots of happy memories with those who matter most to you! Hopefully you took a few pictures to scrapbook later too! I had a nice lovely break from work, got to make all my cards and send them out all across Canada and the United States, got some scrapbooking done, spent time with all my close family, caught up on naps with my kitties, caught a cold, went to all my pole classes, ate far too much good food, visited friends… it was glorious! We’re already at the first Friday of the year, and it’s time for another ScrapMuch? Sketch-y Friday 2 page reveal! Supplies used: Cardstock-Stampin’ UP!, Bazzill Basics; Patterned paper-Simple Stories; Ribbon-Stampin’ UP! 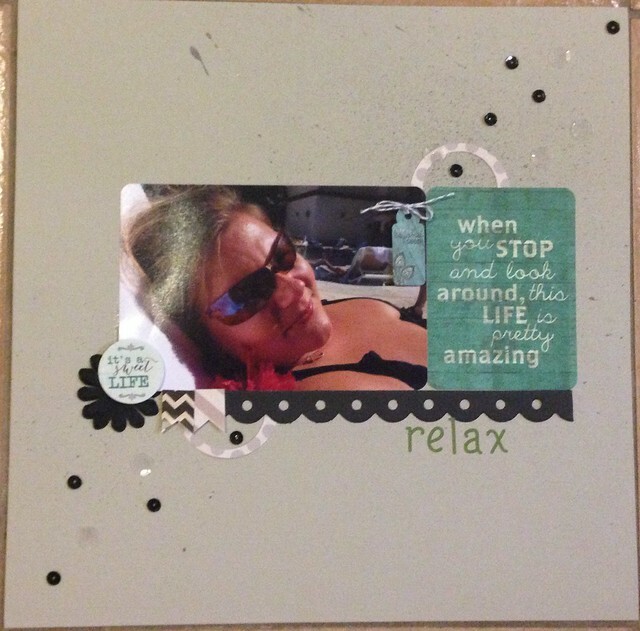 ; Stickers-Crate Paper, Bazzill Basics; Sequins-Teresa Collins; Vellum-Stampin’ UP! 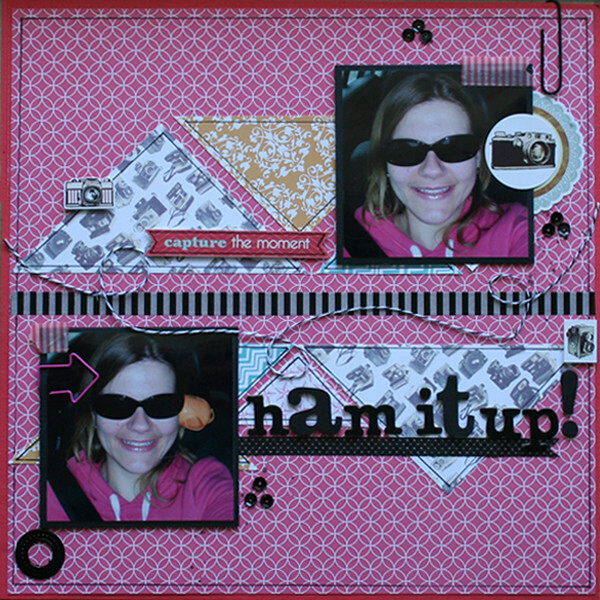 ; Staples-Tim Holtz Tiny Attacher; Die cut-Tim Holtz Alterations; Die cutting machines-Tim Holtz Vagabond, Silhouette Cameo; Roller Stamp-American Crafts Dear Lizzy; Ink-Stampin’ UP! I admit I’m not very good about taking pictures around the Christmas time, so I don’t do a lot of Christmas themed layouts (despite loving the amazing paper lines). Thankfully, I had a photographer for this run I did a few years ago in Burlington. 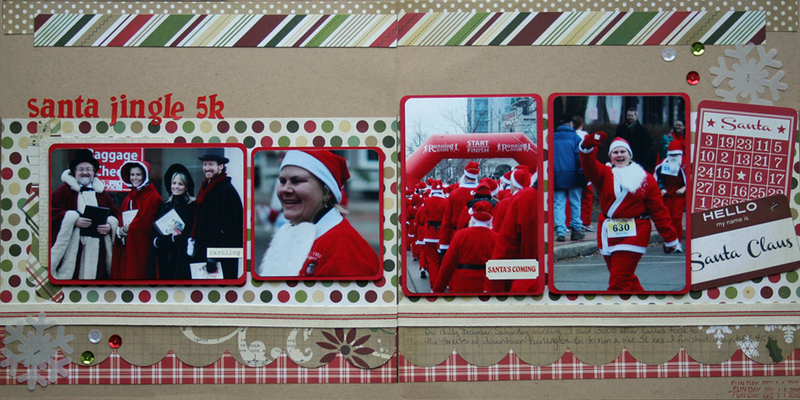 One chilly December Saturday morning, with about 3000 other Santas, we ran the streets of downtown Burlington. I had a pitiful finish time, the beard chafed the heck out of my face, the pants were falling apart by the time I was done, but it was still strangely a lot of fun. I do admit I almost veered off course and didn’t finish when I passed a house where they were welcoming the morning with coffee in the hot tub on their deck. That looked like a far better way to spend my morning, but I doubt they’d have appreciated company! I’ve really taken to using my date stamp as often as possible on my layouts. I reorganized a bunch of my layouts while I was off (yay for 3 ring albums and the ease of doing this!) and found myself trying to remember the year of the event. I’m also making more of an effort to journal on my layouts for the same reason. It’s important to know why the photos were scrapbooked. What was important about those photos or that event? I’m also loving printing at home. I’m actually really impressed with the quality of my Canon Selphy, and Santa brought me the Canon Pixma iP8720 that printed off a stunning copy of one of my favourite cherry blossom photos. The cost is a little higher per print than Costco BUT I’m printing far less now and just the ones that are going on a layout. Because of that, I’m more inclined to do nice edits in Photoshop Elements (Santa also gifted me the newest version) before I print too. That totally awesome ribbon? I’ve been hoarding it for years! I’m so glad I finally used it on a layout instead of “saving” it. The snowflakes? Leftovers from my cards because I cut too many. Happy accident! So now it’s your turn of course! 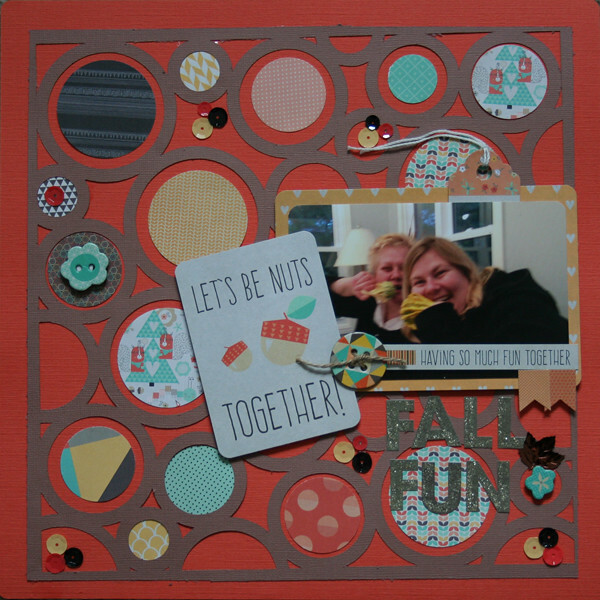 Pop on over to the ScrapMuch? blog to see what the rest of the team has created. Little hint? I think you’ll find a lot of inspiration to scrap your Christmas photos! 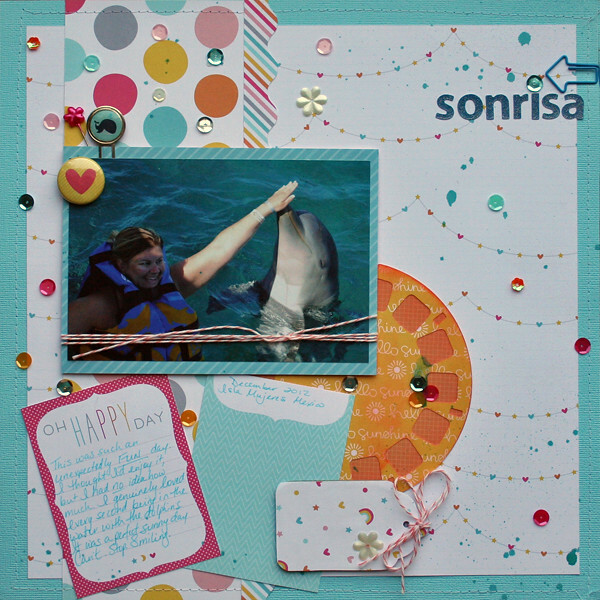 Make sure you link up and share your work with us for the chance to win an awesome ScrapMuch? prize!